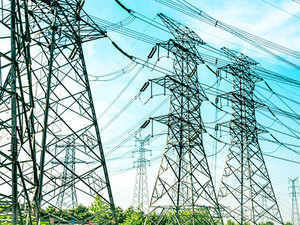 GANDHINAGAR: The upcoming Vibrant Gujarat Global Summit 2019 (VGGS) expects to see commitment of investments worth a whopping Rs 50,000 crore in the renewable energy sector in the state, according to officials. The state-owned Gujarat Power Corp Ltd (GPCL) will be laying the foundation stone for the biggest 5000mw solar power park worth Rs 25,000 crore within the Dholera Special Investment Region. The three-day biennial summit begins on January 18. The state government will also be signing memorandums of understanding (MoUs) with various companies to set up renewable energy projects in Gujarat. The Energy and Petrochemicals Department will be signing an agreement with Powerica Ltd to set up a Rs 1,200-crore wind-based project with the capacity of producing 200 mw at Devbhumi Dwarka in Saurashtra. Another such 200mw wind power project will be set up at Devbhumi Dwarka by the SiemensNSE -0.06 % Gamesha Renewable Power Pvt Ltd. In the vast desert district of Kutch, a 500mw wind power project will be set up by Sarjan Realities Ltd at a cost of Rs 3,250 crore for which MoU will be signed by the government. The state-owned Gujarat State Electricity Corp Ltd (GSECL) will also be commencing commercial production of its Rs 323-crore 75mw solar photovoltaic power plant at Dewan in Anand district. Meanwhile, commercial production at the Powerica Ltd's Rs 720-crore 100mw wind power project at Jamnagar with the Powerica Ltd, an MoU for which had been signed earlier, is scheduled to be launched in February.